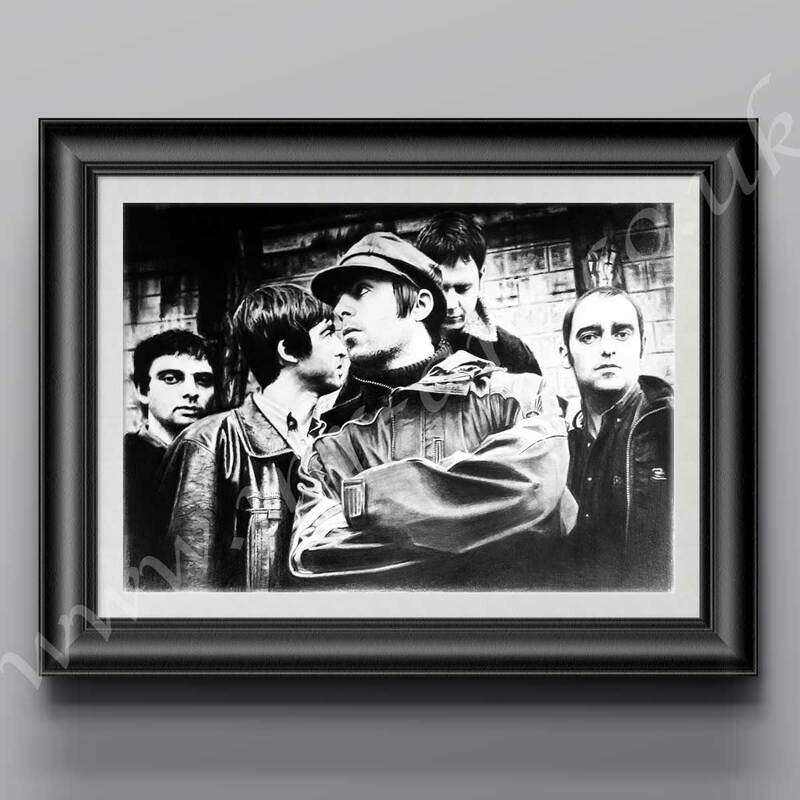 This exclusive Oasis Print has originally been drawn in pencil by Mark Reynolds and features all band members including Noel Gallagher and Liam Gallagher. Oasis were an English rock band formed in Manchester in 1991. Developed from an earlier group, the Rain, the band originally consisted of Liam Gallagher (vocals and tambourine), Paul “Bonehead” Arthurs (guitar), Paul “Guigsy” McGuigan (bass guitar), and Tony McCarroll (drums, percussion). They were later joined by Liam’s older brother Noel Gallagher (lead guitar and vocals) as a fifth member, becoming the band’s settled line-up until April 1995.